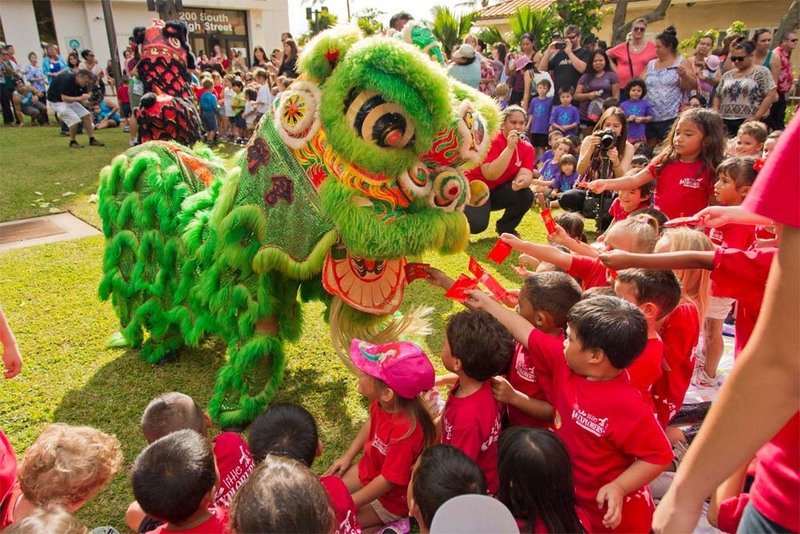 Chinese New Year on Maui, file photo by Wendy Osher. The County of Maui will welcome the Chinese Lunar New Year and the Year of the Snake with a special celebration at the County Building on at 9 a.m. on Friday, Feb. 15. 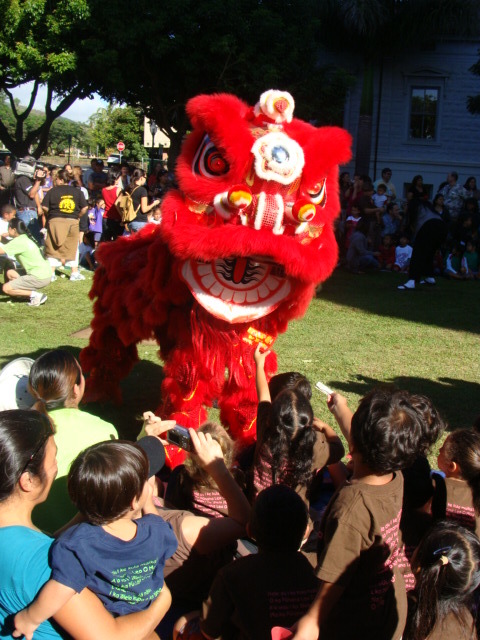 The event includes a martial arts exhibitions and a lion dance performance by Master Ben Seng Au and his Shaolin Martial Arts Academy. The festivities open with firecrackers, and also feature drums, cymbals and elaborate lion costumes. Red “li-shi” envelopes, used to feed the lions in the hopes of bringing good luck, will be available at the front desk on the 9th floor of the County Building. They will also be available on the lawn the day of the event. The event is free and open to the public; local preschools also will be in attendance.